1.1. 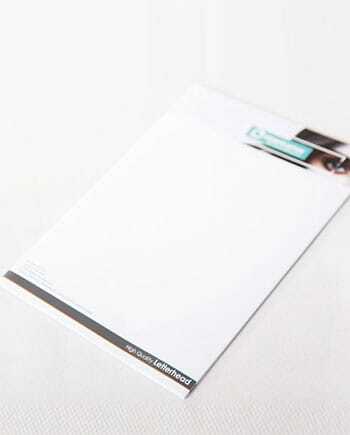 This page (together with the documents expressly referred to on it) tells you (Customer) information about us (WEBPRINTER (PTY) LTD) and the legal terms and conditions (Terms) on which WEBPRINTER (PTY) LTD supplies any of the products (Products) listed on the website www.webprinter.co.za (Website). 1.2. These Terms will apply to any contracts between WEBPRINTER (PTY) LTD and Customer for the sale of Products concluded via the Website (Contract) to the exclusion of any other terms that Customer seeks to impose or incorporate, or which may be implied by trade, custom, practice or course of dealing (except where WEBPRINTER (PTY) LTD has given its prior written consent). Any further correspondence between WEBPRINTER (PTY) LTD and Customer, will have no impact on the Terms of the contract. 1.3. To the extent there is any inconsistency between the provisions of these Terms and the provisions of any other documents issued by WEBPRINTER (PTY) LTD which are contained on the Website or otherwise made available to Customer, the provisions of these Terms shall prevail. 1.5. WEBPRINTER (PTY) LTD may amend these Terms from time to time. Every time Customer wishes to order Products, it should check these Terms to ensure it understands the terms which will apply at that time. These Terms were most recently updated in November 2016. 2.1. WEBPRINTER (PTY) LTD operate the Website. WEBPRINTER (PTY) LTD is a company registered in South Africa under company number 2012/018910/07 with its registered office at UNIT 204, 35 Rose Street, Bo Kaap, South Africa. 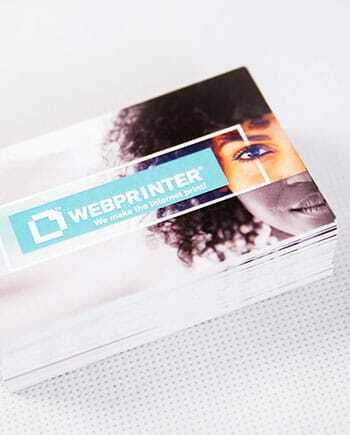 WEBPRINTER (PTY) LTD’s main trading address is P.O.BOX 50398, V&A Waterfront, Cape Town, 8002, South Africa. 2.2. To contact WEBPRINTER (PTY) LTD, please refer to the Contactpage . 3.3. WEBPRINTER (PTY) LTD’s order process allows Customer to check and amend any errors before submitting an order. Customers should take the time to read and check all orders at each stage of the order process. 3.4. After Customer places an order, Customer will receive an order confirmation from WEBPRINTER (PTY) LTD with a summary of the order. However, this does not mean that the order has been accepted. WEBPRINTER (PTY) LTD’s acceptance of the order will take place as described in condition 3.5. 3.5. The Contract between Customer and WEBPRINTER (PTY) LTD shall only be concluded after the Print-Ready or Approved (by the Customer) Artwork (defined in condition 5.1 below) has been transmitted by Customer and WEBPRINTER (PTY) LTD has sent a separate order confirmation via e-mail (Acceptance of Order). WEBPRINTER (PTY) LTD will send the Confirmation via e-mail within five days after receiving the Artwork. 4.1. For the purposes of these Terms, Customer shall be deemed to be purchasing as a business if it enters into the Contract,and/or it is purchasing Products which are not of a type ordinarily supplied for private use or consumption. 4.3.2. Customer acknowledges and agrees that these Terms and any document expressly referred to in them constitute the entire agreement between WEBPRINTER (PTY) LTD and Customer. Customer acknowledges that it has not relied on any statement, promise or representation made or given by or on behalf of WEBPRINTER (PTY) LTD which is not set out in these Terms or any document expressly referred to in them. 5.1. WEBPRINTER (PTY) LTD completes all orders solely on the basis of print data and information (Artwork) submitted by Customer. Customer must ensure it has read and understood its responsibilities contained in these Terms and which are set out in more detail on the Customer Information page and Artwork guide. 5.2. Customer must check the Artwork carefully against the Format Requirements before submitting to WEBPRINTER (PTY) LTD. WEBPRINTER (PTY) LTD will not review any Artwork for compliance with the Format Requirements or otherwise for any typographical errors. 5.3. When WEBPRINTER (PTY) LTD has received the Artwork from Customer, WEBPRINTER (PTY) LTD will perform a ‘Standard Artwork Check’ on every order submitted by Customer. 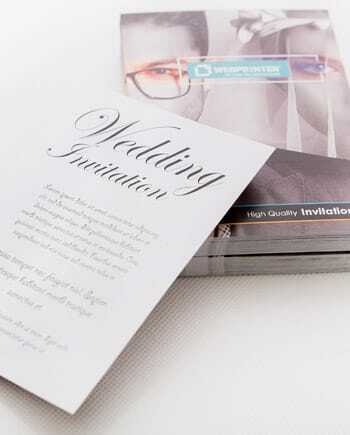 The extent to which WEBPRINTER (PTY) LTD checks the Artwork is detailed on the Customer Information page. 5.4. 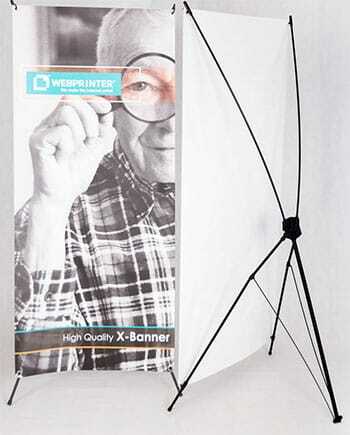 WEBPRINTER (PTY) LTD will provide proofs of the Product. The first two proofs will be at no extra cost, but from the third proof onwards, a fee of R50 per proof will be charged. 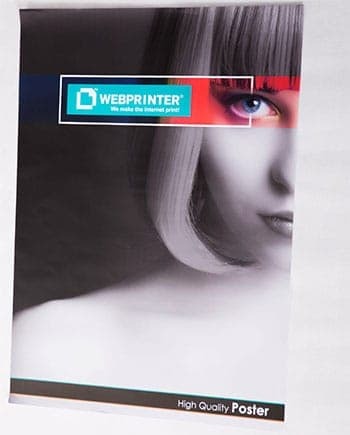 5.5.Where WEBPRINTER (PTY) LTD has produced a proof for Customer, Customer acknowledges and accepts that such proof is merely illustrative of the final product to be produced by WEBPRINTER (PTY) LTD and WEBPRINTER (PTY) LTD shall have no liability to Customer for slight variations in the final Product from the proof supplied. 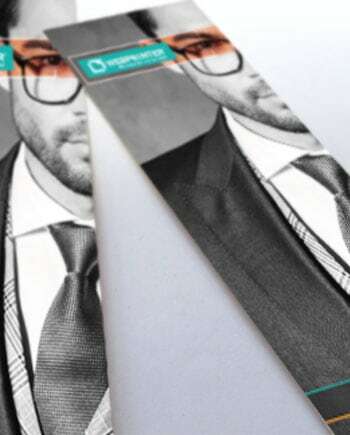 5.6.Where WEBPRINTER (PTY) LTD has produced a proof for Customer pursuant to performing a Superior Artwork Check or Proof on the Artwork, Customer acknowledges and accepts that such proof is merely illustrative of the final product to be produced by WEBPRINTER (PTY) LTD and WEBPRINTER (PTY) LTD shall have no liability to Customer for slight variations in the final Product from the proof supplied. 5.7. 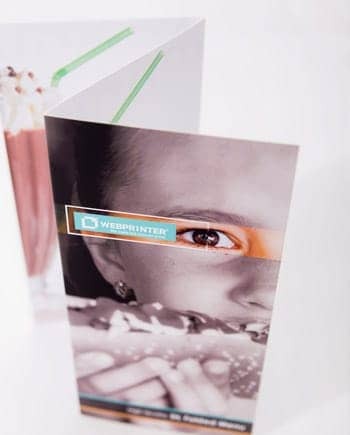 If, when WEBPRINTER (PTY) LTD performs either the Standard Artwork Check WEBPRINTER (PTY) LTD discovers that the Artwork supplied by Customer is defective or does not comply with the Format Requirements, WEBPRINTER (PTY) LTD will notify Customer and request Customerprovides corrected Artwork. 5.8. In the event that Customer notifies WEBPRINTER (PTY) LTD that it wishes to proceed with the order without correcting any defects in the Artwork, or amending such Artwork so it complies with the Format Requirements, Customer does so at its own risk. 5.9. If additional costs arise due to the inaccuracy of the Artwork, these will be borne by the Customer. 5.10. 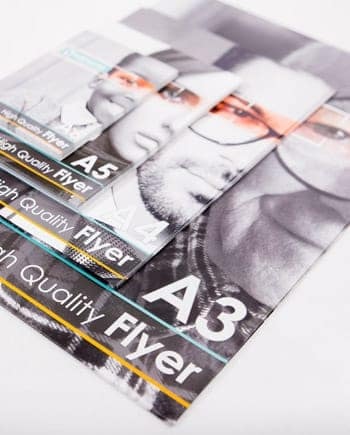 Where Customer has not submitted Artwork in CMYK mode in accordance with the Format Requirements, WEBPRINTER (PTY) LTD shall be entitled to convert the Artwork to ensure it complies with the Format Requirements. In these circumstances, the liability for any resulting colour deviations lies solely with the Customer. By transmitting the Artwork in any other mode than the specified CMYK mode, the Customer acknowledges and agrees that the conversion is carried out at Customer’s own risk. 5.11. For the avoidance of doubt, WEBPRINTER (PTY) LTD will not accept any responsibility or liability for any colour variations, irregularities or other defects whatsoever of the Products ordered by Customer which are caused as a result of Artwork not complying with the Format Requirements, including (but not limited to) graphics and images, colours and colour mode, cut, fonts and lines. 5.12. WEBPRINTER (PTY) LTD reserves the right to refuse any orders and/or terminate any Contracts where the transmitted Artwork contains defamatory, pornographic, fascist, radical content or any other material which is obscene, offensive, hateful or inflammatory. 5.13. After the Contract is formed, Customer shall only be entitled to make changes to the order provided Customer remains liable for any additional costs incurred by WEBPRINTER (PTY) LTD in making such changes. 6.1. Right of revocation for delivery of goods (single or multiple orders) not manufactured according to customer specifications and delivered in one (or more) consignments. The revocation period shall be 14 days from the day on which you or a third party nominated by you who is not the carrier took possession of the goods. by means of a clear statement (e.g. a letter sent by post, fax or email etc.) regarding your decision to revoke this contract. You may use the Sample Revocation Form attached; this is not mandatory, however. To observe the revocation period it shall be sufficient for you to send the notification of the exercising of the right of revocation before the expiry of the revocation period. If you revoke this contract, we shall refund you all payments that we have received from you, including delivery costs (with the exception of the additional costs arising from the fact that you chose a type of delivery other than the reasonable standard delivery offered by us), immediately and no later than within 14 days of the date on which we received the notice of revocation of this contract. We shall effect this repayment by bank transfer only. Under no circumstances will you be charged any bank charges for this repayment. We may withhold the repayment until we have received the goods back or until you have provided proof that you have sent the goods back, whichever is the earlier. You must send back or transfer the goods immediately and in all cases no later than 14 days from the date on which you notify us of the revocation of this contract to WEBPRINTER (PTY) LTD, P.O.BOX 50398, V&A Waterfront, Cape Town, 8002, South Africa. This deadline shall be considered met if you send the goods before the expiry of the period of 14 days. We shall bear the costs of returning the goods. You shall pay for any diminished value of the goods only if this diminished value is attributable to your handling of the goods in any way other than what is necessary to ascertain the quality, nature and functioning of these. Your right of revocation shall expire prematurely if at your express request we start the execution of the contract before the expiry of the revocation period. 6.3. 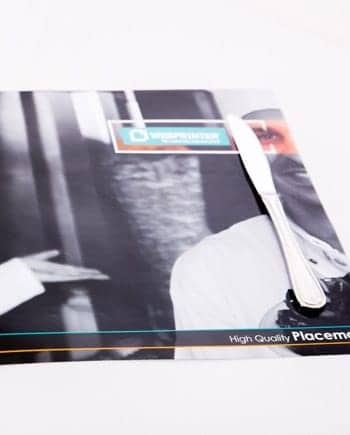 If the printed materials are produced via the WEBPRINTER (PTY) LTD website according to customer specifications, no legal right of revocation shall exist. No contractual right of revocation is granted. - for the supply of goods which are not prefabricated and the production of which is determined by an individual choice or decision of the consumer or which are clearly tailored to the personal needs of the consumer. 7.1. Applicable laws require that some of the information or communications WEBPRINTER (PTY) LTD send to Customer should be in permanent form and for this purpose, WEBPRINTER (PTY) LTD shall confirm such information to Customer by email, which Customer accepts is a permanent form of communication. 7.2. When registering to use the Website, Customer shall provide an e-mail address for communications between WEBPRINTER (PTY) LTD and Customer. Customer shall ensure such email address is valid and functioning. In particular, Customer shall ensure that the settings of the spam filter on its e-mail account allows the receipt by Customer of e-mails sent by WEBPRINTER (PTY) LTD.
7.3.2. any notice or communication sent by WEBPRINTER (PTY) LTD to Customer, or by Customer to WEBPRINTER (PTY) LTD will be deemed received and properly served (i) immediately when posted on the Website (ii) in the case of e-mails, 24 hours after an e-mail is sent, or (iii) in the case of letter, three days after the date of posting. 8.2. 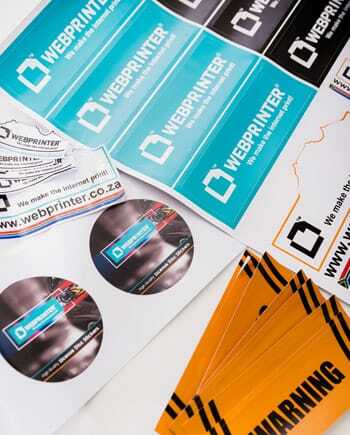 WEBPRINTER (PTY) LTD takes all reasonable care to ensure that the prices of Products are correct at the time when the relevant information was entered onto the Website. However, if WEBPRINTER (PTY) LTD discovers an error in the price of Products(s) ordered by Customer, condition 8.5 will apply. 8.3. 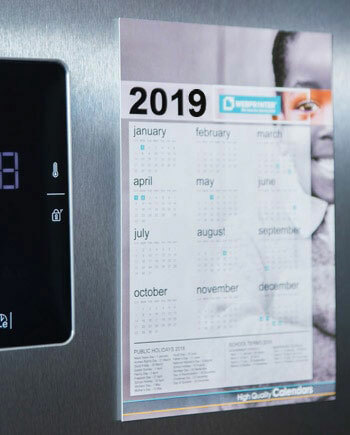 Prices for the Products may change from time to time, but changes will not affect any order which WEBPRINTER (PTY) LTD has confirmed with an Order Confirmation. 8.4. The price of the Products includes packaging and delivery charges but excludes shipping insurance. 8.5. The Website contains a large number of Products. It is always possible that, despite WEBPRINTER (PTY) LTD’s best efforts, some of the Products on the Website may be incorrectly priced. If WEBPRINTER (PTY) LTD discover an error in the price of the Products Customer has ordered, WEBPRINTER (PTY) LTD will inform Customer of this error and WEBPRINTER (PTY) LTD will give Customer the option of continuing to purchase the Product at the correct price or cancelling the order. WEBPRINTER (PTY) LTD will not process Customer’s order until it has received Customer’s instructions. If WEBPRINTER (PTY) LTD is unable to contact Customer using the contact details Customer provided during the order process, WEBPRINTER (PTY) LTD will treat the order as cancelled and notify Customer in writing. If the pricing error is obvious and unmistakeable and could have reasonably been recognised by Customer as a mispricing, WEBPRINTER (PTY) LTD do not have to provide the Products to Customer at the incorrect (lower) price. 8.6. The Customer will be charged additionally for any subsequent changes requested by the Customer, including if this request results in machine downtime or additional production costs in the event of a complete or partial cancellation (except if the cancellation is pursuant to the consumer’s rights under condition 6). Additional charges are also payable if Customer requests repeated samples due to a slight deviation from the template. 8.7. Where Customer orders more than two proofs, this shall be subject to an additional fee in accordance with condition 5.4 of these Terms. 8.8. If Customer obtains a quotation for Products from WEBPRINTER (PTY) LTD either by e-mail or through the Website, this does not constitute an offer by WEBPRINTER (PTY) LTD and shall only be valid for a period of 7 days from its date of issue. 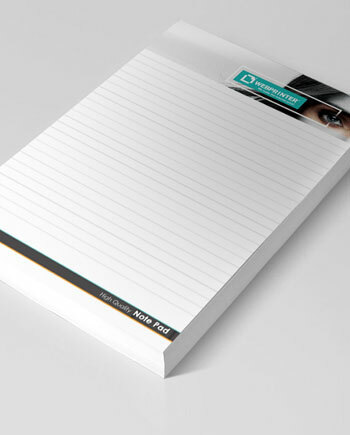 All quotations are subject to the condition that the order details underlying the quotation at the time of issue remain unchanged, and Artwork to be received from Customer is received within one week of Customer placing the order. 8.9. All prices quoted are for one artwork only and print runs can not be split into multiple artworks / designs. 9.1. The price of the Products automatically includes VAT (if any, which shall be at the sole discretion of WEBPRINTER (PTY) LTD) at the applicable current rate chargeable in the South Africa. 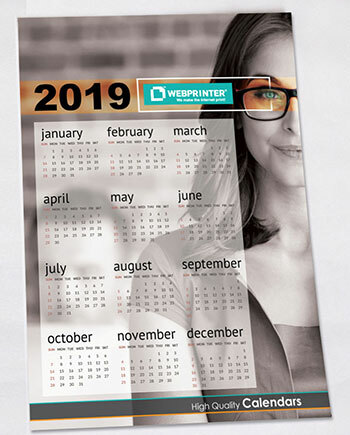 However, if the rate of VAT changes between the date of the order and the date of delivery, WEBPRINTER (PTY) LTD will adjust the VAT payable by Customer, unless Customer has already paid for the Products in full before the change in VAT takes effect. 9.2. If Customer believes that the Product it has purchased should be zero rated for VAT purposes, Customer shall notify WEBPRINTER (PTY) LTD immediately following receipt of the Order Confirmation and confirm the reasons for this. WEBPRINTER (PTY) LTD will investigate such claim and if it considers (acting reasonably) that such Product should be zero rated for VAT purposes, WEBPRINTER (PTY) LTD shall reimburse Customer for any overpayment made in respect of VAT. 9.3. Customers who are registered for VAT purposes must provide to WEBPRINTER (PTY) LTD a valid VAT registration number at the time of placing an order. WEBPRINTER (PTY) LTD is entitled to retain such information and apply this VAT registration number to any subsequent orders until WEBPRINTER (PTY) LTD is notified by Customer in writing that the VAT registration number is no longer valid. 10.1. WEBPRINTER (PTY) Ltd uses external payment service provider, PAYU to process all payments. Customer may pay for Products at the time of placing the order using a debit card, credit card or via Smart EFT. 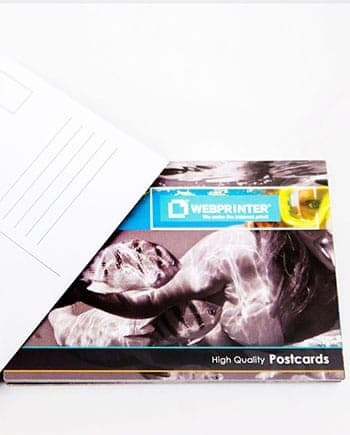 Customers should note that WEBPRINTER (PTY) LTD shall not start production of the Products until payment has been received in full and print-ready or approved artwork has been supplied. 10.2. No other payment methods or terms shall apply unless expressly agreed with WEBPRINTER (PTY) LTD in writing. 10.3. WEBPRINTER (PTY) LTD shall issue a separate invoice for each Product ordered by Customer. 10.4. In the event that Customer makes a payment in error, it is the responsibility of Customer to notify WEBPRINTER (PTY) LTD and request WEBPRINTER (PTY) LTD reimburse such sum. Subject to confirmation by WEBPRINTER (PTY) LTD that it has received such overpayment, WEBPRINTER (PTY) LTD shall reimburse the sum to Customer. Where the repayment of any such sum by WEBPRINTER (PTY) LTD is subject to an additional charge, WEBPRINTER (PTY) LTD shall be entitled to deduct the amount of any charge from the sum to be reimbursed. 11.1. Delivery is based upon the production time taken by WEBPRINTER (PTY) LTD to manufacture the Products and the delivery time to ship the Products to Customer. 11.2. For areas where the external courier does daily deliveries, WEBPRINTER (PTY) LTD will ensure that the Products are delivered within 7 working days of production commencing. 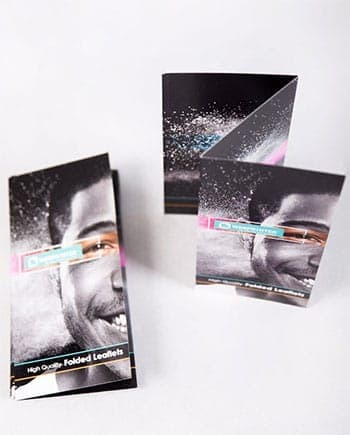 For all other areas, the delivery will be as soon as possible after Customer’s order has been accepted and WEBPRINTER (PTY) LTD has completed the production of the Products. 11.3. WEBPRINTER (PTY) LTD offers a cash back guarantee on delivery. Production time starts once payment and the printable data has been received. For all orders where there is a daily delivery offered by the courier, if the order is not delivered within 7 working days of production commencing, WEBPRINTER (PTY) Ltd will refund 100% of the cost of the order, in cash, to the customer. This does not apply to orders that need to be delivered in outlying areas where the courier only delivers on specific days of the week. 11.4. 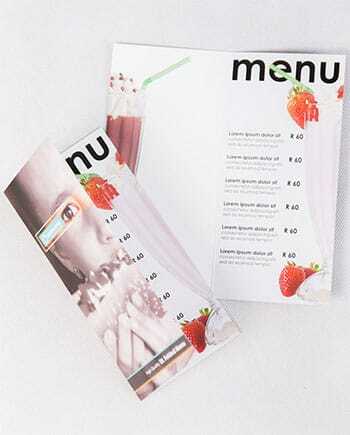 WEBPRINTER (PTY) LTD will advise Customer of the estimated date when the production of the Products shall be completed. 11.5. WEBPRINTER (PTY) LTD shall not commence production on the Products until it has received payment in full for the Products and it is in receipt of the final Artwork following the completion of any Standard Artwork Check or Proof. If everything is received before 11am on a working day, production starts the same day. If it is received after 11am, production starts the next working day. Working days are Monday to Friday only. 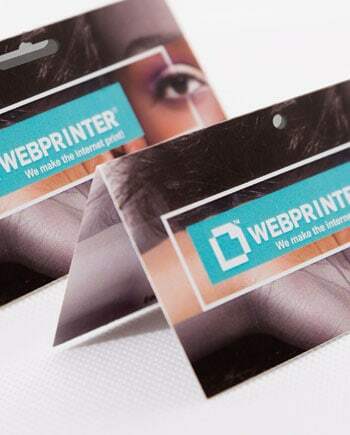 WEBPRINTER (PTY) LTD guarantees delivery within 7 days of production commencing (remote areas excluded). 11.6. Delivery will be completed when WEBPRINTER (PTY) LTD delivers the Products to the address given by Customer during the order process. 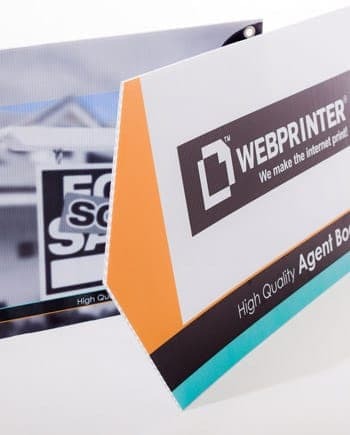 If Customer selects their own carrier for delivery, delivery will be completed when WEBPRINTER (PTY) LTD delivers the Products to Customer’s nominated carrier. 11.7. If Customer is not available at the delivery address, WEBPRINTER (PTY) LTD’s chosen carrier (The Carrier) will leave a note that the Products have been returned to The Carrier’s premises and Customer must contact The Carrier to rearrange delivery. In circumstances where The Carrier has re-arranged delivery and Customer is not available at the delivery address on the agreed date and time to take delivery of the Products, The Carrier shall be entitled (at its discretion) to charge Customer for any additional costs reasonably incurred by The Carrier in attempting to re-deliver the Products. 11.8. The Products will be at the risk of the Customer from completion of delivery. Customer shall only own the Products once WEBPRINTER (PTY) LTD has received payment in full for the Products. 11.9. Delivery of the Products shall be performed during normal business hours, being Monday to Friday 8am to 6pm. 11.10. The delivery of prospectuses takes place on disposable pallets; shipment tracking is not possible in this case. 11.11. For the avoidance of doubt, WEBPRINTER (PTY) LTD or The Carrier shall not be liable for any delay in delivery of the Products that is caused by an Event Outside the Control of WEBPRINTER (PTY) LTD, The Carrier or Customer's failure to provide WEBPRINTER (PTY) LTD with adequate delivery instructions or any other instructions that are relevant to the supply of the Products. 12.1. WEBPRINTER (PTY) LTD or The Carrier shall not be liable or responsible for any failure to perform, or delay in performance of, any of its obligations under a Contract that is caused by an Event Outside the Control of WEBPRINTER (PTY) LTD or The Carrier. An Event Outside the Control of WEBPRINTER (PTY) LTD or The Carrier is defined below in condition 12.2. 12.2. An Event Outside the Control of WEBPRINTER (PTY) LTD or The Carrier means any act or event beyond WEBPRINTER (PTY) LTD or The Carrier’s reasonable control, including without limitation strikes, lock-outs or other industrial action by third parties, civil commotion, riot, invasion, terrorist attack or threat of terrorist attack, war (whether declared or not) or threat or preparation for war, fire, explosion, storm, flood, earthquake, subsidence, epidemic or other natural disaster, or failure of public or private telecommunications networks or impossibility of the use of railways, shipping, aircraft, motor transport or other means of public or private transport. 12.3.2. WEBPRINTER (PTY) LTD’s obligations under a Contract will be suspended and the time for performance of its obligations will be extended for the duration of the Event Outside the Control of WEBPRINTER (PTY) LTD.
12.4. If the Event Outside the Control of WEBPRINTER (PTY) LTD or The Carrier extends beyond four weeks, Customer shall be entitled to cancel the Contract. 13.2.If Customer returns any Products to WEBPRINTER (PTY) LTD and WEBPRINTER (PTY) LTD can prove they were not damaged or defective when Customer received them, or are not misdescribed, WEBPRINTER (PTY) LTD may send them back to Customer, claiming the cost of return postage and no refund shall be due to Customer. 13.3. For the avoidance of doubt, WEBPRINTER (PTY) LTD shall not be liable to accept any returned Products from Customer in circumstances where the Product is based on Artwork produced by Customer which fails to comply with the Format Requirements stipulated by WEBPRINTER (PTY) LTD.
14.1. . If WEBPRINTER (PTY) LTD fails to comply with these Terms, WEBPRINTER (PTY) LTD is responsible for any loss or damage suffered by Customer that is a foreseeable result of WEBPRINTER (PTY) LTD’s breach of the Terms or WEBPRINTER (PTY) LTD’s negligence. Loss or damage will be foreseeable if they are an obvious consequence of WEBPRINTER (PTY) LTD’s breach or if they were contemplated by Customer and WEBPRINTER (PTY) LTD at the time the Contract was entered into. 14.2.3. defective products under the Consumer Protection Act, No.68 of 2008. 14.3.3. defective products under the Consumer Protection Act, No.68 of 2008. 14.5. Subject to condition 14.3 and condition 14.4, WEBPRINTER (PTY) LTD’s total liability to any business Customer in respect of all other losses arising under or in connection with the Contract, whether in contract, tort (including negligence), breach of statutory duty, or otherwise, shall in no circumstances exceed 200% of the price of the Products. 15.1. When these Terms refer to "in writing", this will include e-mail. 15.2.1. To cancel a Contract in accordance with Customer’s legal right to do so as set out in condition 6 Customer must contact WEBPRINTER (PTY) LTD in accordance with condition 6.3..
15.2.2. . If Customer wishes to contact WEBPRINTER (PTY) LTD in writing for any other reason, Customer can send this to WEBPRINTER (PTY) LTD by e-mail [hello@webprinter.co.za] or by pre-paid post to WEBPRINTER (PTY) LTD, P.O.BOX 50398, V&A Waterfront, Cape Town, 8002, South Africa. 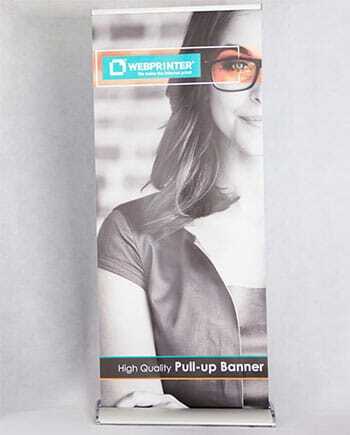 Customer can always contact WEBPRINTER (PTY) LTD using the Customer Services telephone line. 15.2.3. If WEBPRINTER (PTY) LTD have to contact Customer or give Customer notice in writing, WEBPRINTER (PTY) LTD will do so by e-mail or by pre-paid post to the address Customer provided in the order. 15.3. 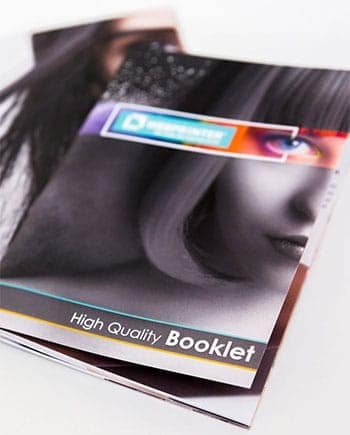 If Customer is purchasing as a business, any notice given by Customer to WEBPRINTER (PTY) LTD, or by WEBPRINTER (PTY) LTD to Customer, will be deemed received and properly served immediately when posted on our Website, 24 hours after an e-mail is sent, or three days after the date of posting of any letter. In proving the service of any notice, it will be sufficient to prove, in the case of a letter, that such letter was properly addressed, stamped and placed in the post and, in the case of an e-mail, that such e-mail was sent to the specified e-mail address of the addressee. The provisions of this condition shall not apply to the service of any proceedings or other documents in any legal action. 16.2. 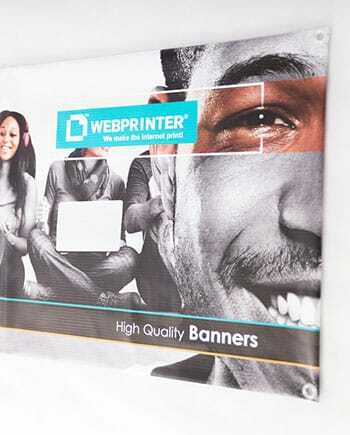 Before sending an Order Confirmation, WEBPRINTER (PTY) LTD has the right to cancel Customer's order, if Customer does not deliver Artwork that complies with the Format Requirements within a period of four weeks from date of order. 17.2.3. . inform Customer about similar products or services that WEBPRINTER (PTY) LTD provides, but Customer may stop receiving these communications at any time by contacting WEBPRINTER (PTY) LTD or by clicking an unsubscribe button. 17.3. Save as set out in condition 17.4 below, WEBPRINTER (PTY) LTD does not pass any personal data to any other third party. WEBPRINTER (PTY) LTD shall not archive Products belonging to Customer (including in particular data and media) without prior written agreement and upon such payment terms as WEBPRINTER (PTY) LTD shall in its sole discretion determine. Customer shall be responsible for insuring such archived Products. 20.1. . WEBPRINTER (PTY) LTD may transfer its rights and obligations under a Contract to another organisation, but this will not affect Customer’s rights or WEBPRINTER (PTY) LTD‘s obligations under these Terms. 20.2. Customer may only transfer its rights or obligations under these Terms to another person if WEBPRINTER (PTY) LTD agrees in writing. However if Customer is a consumer and has purchased a Product as a gift, Customer may transfer the benefit of the warranty to the recipient of the gift without needing to ask WEBPRINTER (PTY) LTD’s consent. 20.3.The Contract is between WEBPRINTER (PTY) LTD and Customer. No other person shall have any rights to enforce any of its terms. If Customer is a consumer, the recipient of any gift of a Product will have the benefit of WEBPRINTER (PTY) LTD’s warranty, but WEBPRINTER (PTY) LTD and Customer will not need their consent to cancel or make any changes to these Terms. 20.5. If WEBPRINTER (PTY) LTD (i) fails to insist that Customer perform any of its obligations under these Terms, (ii) does not enforce its rights against Customer, or (iii) delays in enforcing its rights against Customer, that will not mean that WEBPRINTER (PTY) LTD has waived its rights against Customer or that Customer does not have to comply with those obligations. If WEBPRINTER (PTY) LTD does waive a default by Customer, WEBPRINTER (PTY) LTD will only do so in writing, and this will not mean that WEBPRINTER (PTY) LTD will automatically waive any later default by Customer. 20.6. If Customer is purchasing as a consumer, these Terms are governed by South African law. This means a Contract for the purchase of Products through the Website and any dispute or claim arising out of or in connection with it will be governed by South African law. Customer and WEBPRINTER (PTY) LTD both agree that the courts of South Africa will have non-exclusive jurisdiction. 20.7.If Customer is purchasing as a business, these Terms are governed by South African law. This means that a Contract, and any dispute or claim arising out of or in connection with it or its subject matter or formation (including non-contractual disputes or claims), will be governed by South African law. Customer and WEBPRINTER (PTY) LTD both agree to the exclusive jurisdiction of the courts of South Africa.